We have partnered with JP Morgan to begin an intensive ITI development project under our MyQuest program. 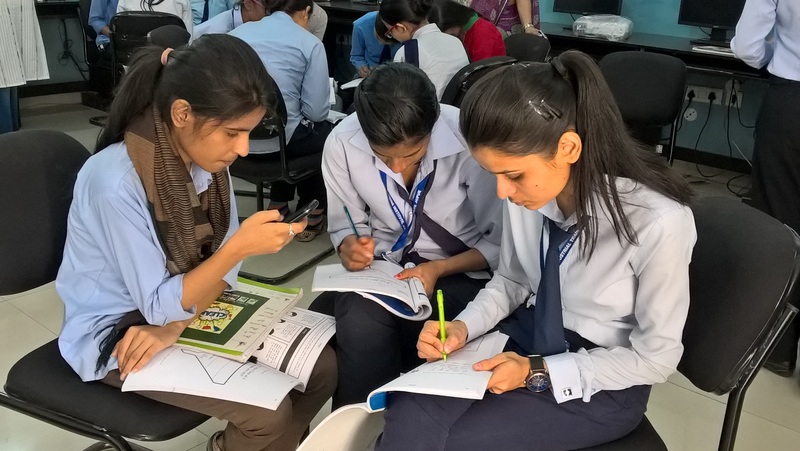 The intervention is aimed to provide advanced skills development courses to 5,000 young women pursuing professional technical education in 15 government-run Industrial Training Institutes (ITIs) and polytechnics across Delhi-NCR region and Rajasthan. Critical job-specific soft-skills like communication, professional etiquette, digital literacy and life-skills is part of the training curriculum. Eleven all-women ITIs in Delhi-NCR region and four ITIs in Rajasthan have been selected for this program and 100 hours of content will be delivered as part of the program. We're working with these institutes to build faculty capacities, and integrate low-cost technology and self-learning tools into the ITI ecosystem to ensure these modules are embedded in the curriculum.